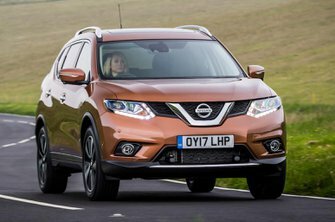 Many people will consider the Nissan X-Trail to be a far sexier alternative to a people carrier. 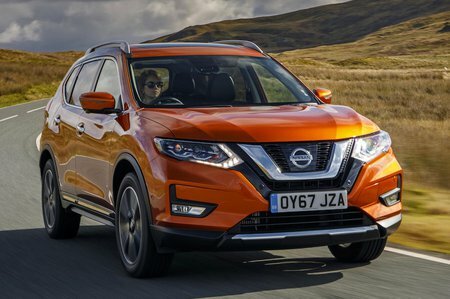 With the rugged looks of an SUV and the option of a third row of seats, it can swallow up to seven people for the school run while still cutting a dash. Of course, while most people like the look of big SUVs, they don’t necessarily need the off-road ability they traditionally possess. Handily, the X-Trail allows you to choose how much mud-plugging attitude it has; you can opt for a four-wheel-drive version or choose front-wheel drive to keep running costs down. It’s up against a suite of strong large SUV rivals, though, including class leaders such as the Peugeot 5008, Kia Sorento, Skoda Kodiaq and Mazda CX-5. Read on over the next few pages to get our in-depth impressions of the X-Trail, along with our recommendations for which trim and engine to choose. You can also avail yourself of the best deals in town for large SUVs by heading to our new car deals page.